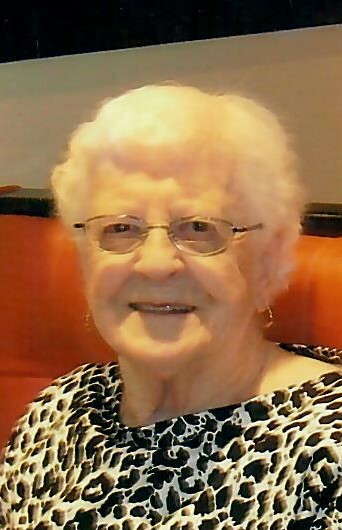 Francoise J. Baril, 97, of North Smithfield, died January 8, 2019 in St. Antoine Residence, North Smithfield. Born in Quebec, she was the daughter of the late Achille and Catherine Baril. Francoise worked as a cook for Fogarty Hospital, North Smithfield, retiring in 1981. She was a communicant of Precious Blood Church, Woonsocket. She is survived by her sister Louisette Caron of North Smithfield, as well as several nieces and nephews. She was the sister of the late Raymond Baril and Renée Hull, and aunt of the late Diane Marshall. A Mass of Christian Burial will be celebrated Monday, January 21, 2018 at 11AM in St. Mary’s Church, 77 Mendon St., Uxbridge. Burial will follow in St. John the Evangelist Cemetery, 63 Church St., North Smithfield. Calling hours are omitted. In lieu of flowers, memorial contributions may be made to: St. Antoine Residence, 10 Rhodes Ave., North Smithfield RI 02896.